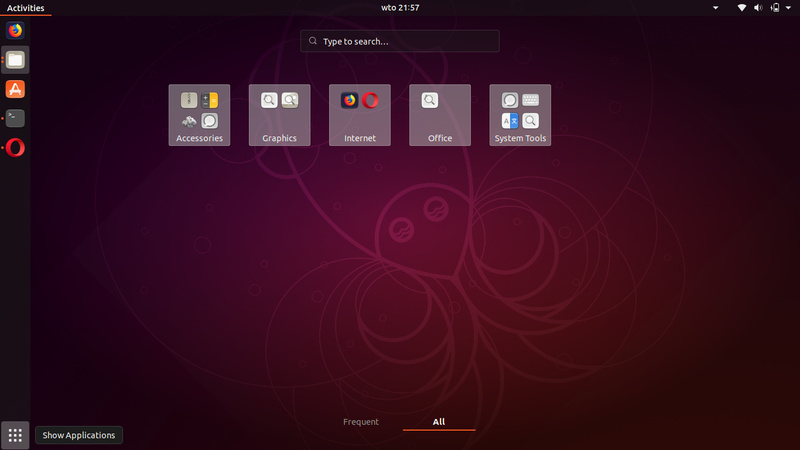 As this an Ubuntu distro, not a Gnome distro (vender is Ubuntu, not Gnome) shouldn’t the categories added to Ubuntu, rather than taking them off? If you make a distinction between a “vendor distro” and a “GNOME distro”, where is the latter to be found? Isn’t any “distribution” distributed by a “vendor”? I think that the current idea is to ship GNOME as close as possible to upstream without disrupting the experience for existing users. While still maintaining a “Ubuntu” branding (colors, Logo) of course. Why would you think that the app icons should be moved into categories now? That hasn’t been the case for the Unity dash either, hasn’t it? I don’t think, I should really answer this question. The distro vender is Ubuntu. Gnome is a DE. Have look, https://www.gnome.org/getting-gnome/ and under Ubuntu there. The ‘recommended’ Gnome distro is Fedora for checking, the live one, as mentioned in that page. 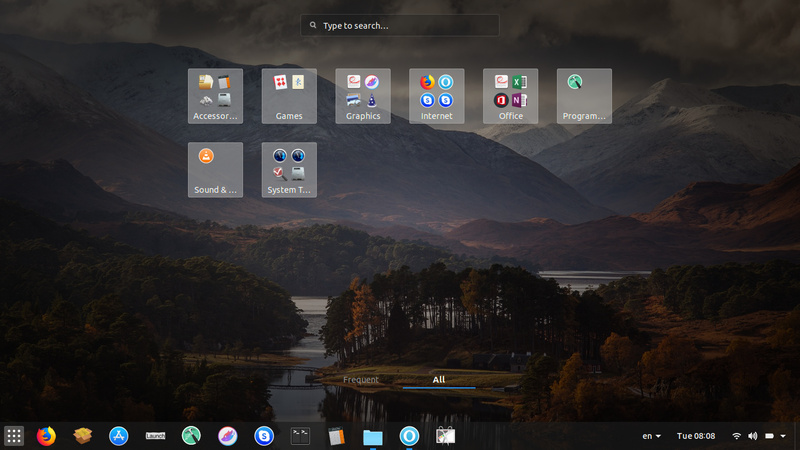 And, the screenshot in OP is Ubuntu 19.04 with ubuntu-session (not gnome-session as Gnome recommends), and with categories. That hasn’t been the case for the Unity dash either, hasn’t it? Well, I have Unity on Ubuntu 19.04…not dual DE booting, but as only DE on Ubuntu base in that partition. Fedora is just an independent vendor as is Ubuntu or SUSE. I don’t see that your links says otherwise. Your categories in the Unity lens are just a filter: You can achieve the same by typing “Videos” etc as a search string. The Unity Lens will list all applications by default if I remember well. But if you think that you have a good reasoning to put all the icons into separate categories, you could file a bug and give some good reasoning for that. Sorry, not discussing Unity here, or “Unity lens,” only asking a question about categories (OP) on upcoming Ubuntu distro. Your post sort of showed that you couldn’t differentiate between a distro vendor and a DE. Gnome as a DE creator doesn’t make distros, but can point to those vendors, who include Gnome DE in their distros. Hope, you understand the difference between a distro vendor and a DE maker. What is the purpose of this thread @chanath? You seem to be chastising @jbicha and others for their use of terminology you disagree with? 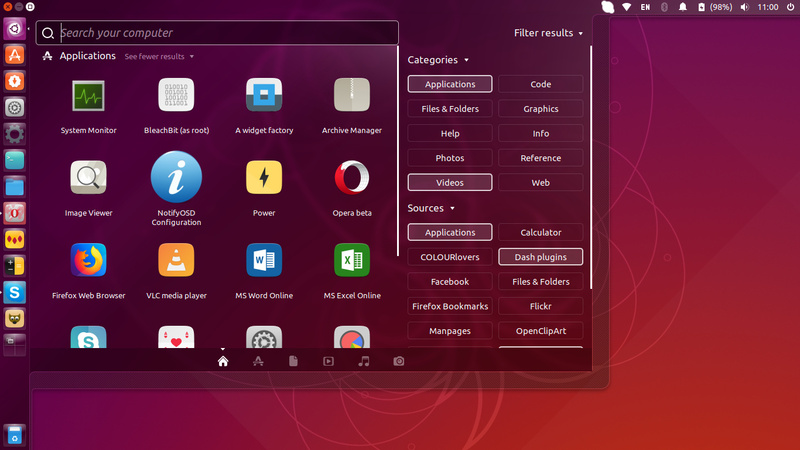 I am just thinking that, categories are useful, for I have them in my Ubuntu 19.04. I don’t have much apps, so going up and down looking for apps won’t be troublesome, but having categories, I have all the apps right in front of me. I am used to categories, for more than a decade. I have 4 Ubuntu 19.04 installs, Ubuntu, Ubuntu-Budgie, Unity and Openbox, and three of them have categories upfront. Only Ubuntu didn’t, so I put it there (OP). I always read the Team Updates, so the question, should Ubuntu have categories or not? Well, that’s all to that. Hope @jbicha is not getting unhappy on this, for he was always friendly. Just a question, nothing else. afaik, he only removed the “sundry” category. Other categories still remain. Where actually? Are they shown in the menu – Show Applications? As far as I know, the menu “categories” are not shown by default in Gnome. I think it is still used in Gnome classic mode and you can enable “categories” using several extensions. You probably know more about that than me. gnome-menus is a library that is used by those extensions and by gnome classic mode to show the categories. Those extensions will now stop showing a “sundry” category. LOL. You literally used the term ‘GNOME distro’ in your original post … which doesn’t exist. Adding to the confusion. But you’re right: GNOME is en DE, not a distro; Fedora, Ubuntu, Mint, etc. are. Just installed today’s 19.04 daily again. Didn’t change the default extensions in this install. They are going to be there until the 19.04 final release. Won’t add any other extensions. But, I need the categories, so put it there. Not many apps, but the menu is quite neat this way. Now, I need to find an easy way to clear the Frequents.